I had decided to buy Nokia 5800 ExpressMusic after doing lot of research and watching loads of review videos on Youtube. Then the Mobile Shopee guy showed me Nokia X6 and I decided to buy it in the next 5 minutes. You must be wondering if I made a mistake and mind you I did not. In a very short time I considered 6 aspects which made me decide to buy Nokia X6. 1. Looks: Wow very sleek and lightweight. The Design is very unusual its very slim.The looks are very simple yet very attractive. I just liked it the moment I saw it. 2. Price: The 8 GB version of Nokia X6 was for around 13,900/- (~ $315) and Nokia 5800 was available for 13,500/- (~ $305). I bought this phone from Pune (India) in September 2010. For such less price difference it was a steal. 3. 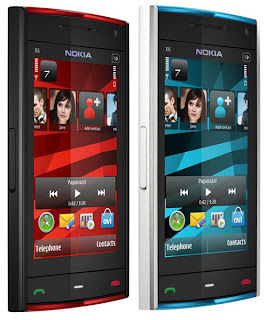 Display Screen: Nokia X6 has a capacitance touch screen (Similar to iPhone) where as 5800 has a resistive touch screen. The touch screen was so responsive that I could not believe my eyes. This was one of the main reasons also for my decision. 4. Camera: Nokia X6 has 5 MP camera and Nokia 5800 has 3.2 MP camera. The quality of snaps is very much evident and much better than 5800 especially snaps taken at night. 5. Memory: 8 GB internal mass storage in Nokia X6 and 2 GB memory card comes with 5800. i.e. 4 times more memory (but cannot be extended further but that's more than sufficient). 6. 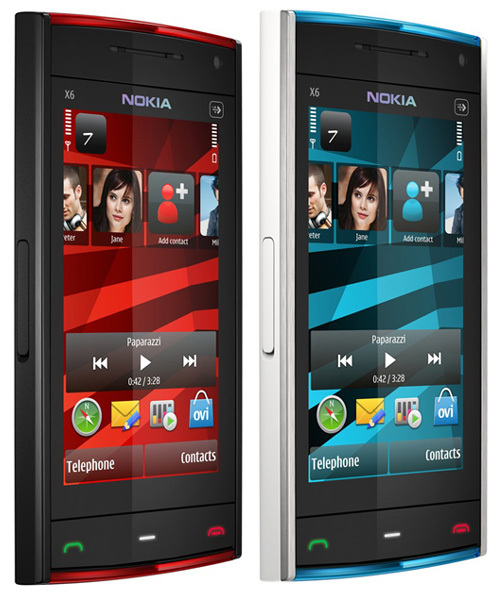 Ovi Music: Nokia X6 comes with unlimited music downloads in Ovi Music store. That means you can download from over 4 million songs. All these things I though of in those 5 minutes seriously. If you are not able to decide between Nokia X6 and Nokia 5800 then this article should help you in taking the correct decision. The Nokia X6 also has many Killer features and a few problems but most of them can be handled easily. I have written two separate articles for them. Nokia X6: Killer Feature and Advantage. Nokia X6: Common problems and there solutions. Don't forget to share your experience once you start using a Nokia X6.